Am planning to buy a good Windows mobile with the latest 7.5(Mango) version in it but before that I need to know what all the new features added in Windows 7.5(Mango) version? Is it worth to buy it? What are the advantages and disadvantage of Windows 7.5 mobiles when compared to the other mobiles in market? What is meant by Windows Phone 8 Apollo? 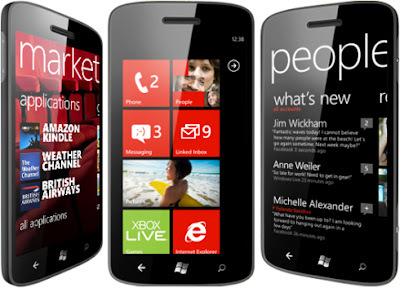 Is it a new version going to be added after Windows Phone 8? Re: What are the new features added in Windows 7.5 (Mango) version? Can you list me down the advantages and disadvantages of Windows 7.5 (Mango) version? The Windows 7.5(Mango)version is the latest smartphone well equipped with all the features demanded by the GenY. #Customize your ringtones from the collection of mp3 and WMA files formats. #You can reply to text messenger with speech,send multiple pictures,videos,voice messeges,video and audio by attaching it with text messeges. Facebook chats,conversations with linked inboxes enhances your messaging experience. #Sharing and globalizating is at a second distance via twitter,better me card etc. #With Smarter apps,multitasking is much more easier. #Online storeMarketplace has much more in Store for you including apps and browsers. #Maps help you locate places likes malls etc,apps help you drive directions. #Music and videos features doesn't let you compromise with the quality. #Sync with Skydrive and office management is at their best.Plus games and networking experience. I can't say that it isn't worth to buy it, but there are more options available in the market like Android. > Mango Threads text messages, chat in one single place. > Music Search, Bing Vision Search, Local Scout. > Some features for US only. FINALLY i will say that you go in the market and have demo of both. And select one which suits you best.